Soft, melt-in-your-mouth molasses ginger cookies filled with fluffy, rich Nutella buttercream frosting! 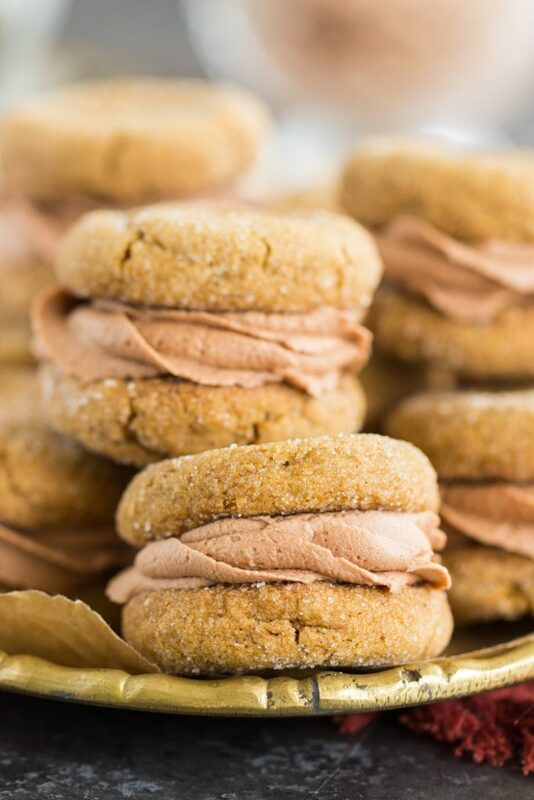 You’ll love the combo of ginger and spice with cocoa and hazelnut in these Soft Ginger Cookies with Nutella Buttercream! An unconventional collection of flavors that come together so deliciously! Aaaaah, how did it get to be December 20th already? I haven’t felt this unprepared for Christmas in a few years now. The last few years, I actually felt quite ready for Christmas by the time it arrived – other than gifts. I’m perpetually behind on gift-shopping. But in all other ways, I felt ready. This year, I’m SO not ready. I haven’t accomplished half of what I wanted to, and I’m not mentally prepared for Christmas to be in 5 days either. Eek. Did it arrive faster this year than ever before? I had so many other recipes that I wanted to make this holiday season – I bought the ingredients and mapped out a plan and everything. Days kept going by where I’d get caught up doing other things, and I finally got the recipes made (like, two days ago), but now it’s too late to share them, so I’m just socking them away for next year. 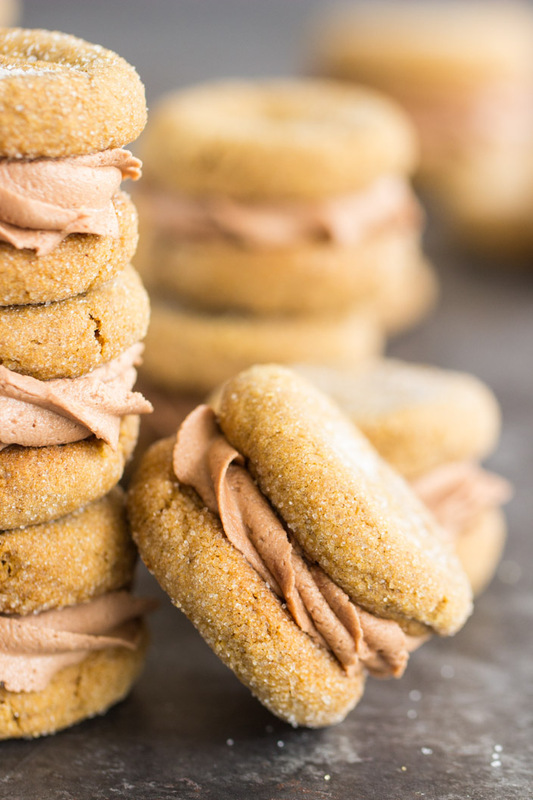 That said, this is my last Christmas-y or holiday recipe for the season… these Soft Ginger Cookies with Nutella Buttercream! 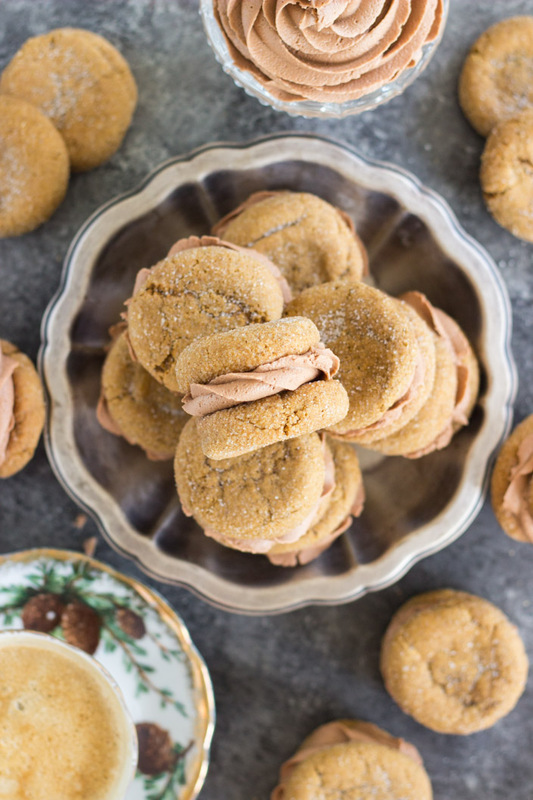 I made these same cookies, these Soft Molasses Ginger Cookies with Cookie Butter Buttercream last year, but with cookie butter, obviously. 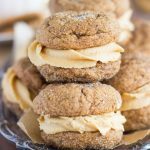 I personally adore those soft ginger cookies on their own, but they’re awesome as sandwich cookies with frosting in-between. I’ve had some positive comments recently from readers who really like them too! 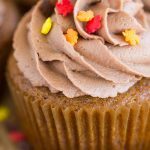 I’ve been on a Nutella bender in 2017, and in my typical fashion of beating an ingredient silly, I had to recreate those soft ginger cookies, but with Nutella frosting instead of Cookie Butter Frosting. 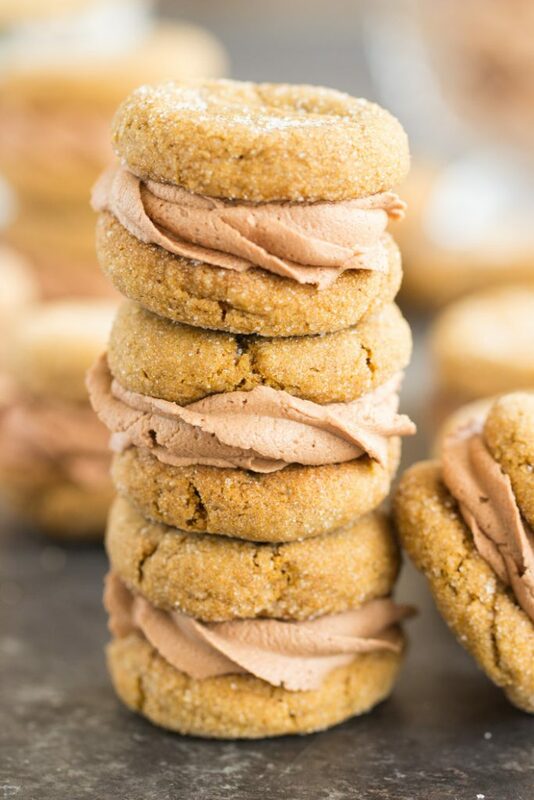 So these Soft Ginger Cookies with Nutella Buttercream combine those favorite melt-in-your-mouth ginger cookies with my Nutella Buttercream recipe. 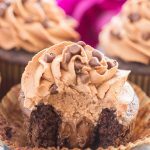 I know these flavors don’t sound like they’d naturally go together, but you’ve got to believe me when I tell you that you’ll love the combo of soft, melt-in-your-mouth, spicy ginger cookies with fluffy chocolate-hazelnut frosting. 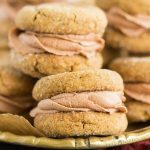 I discovered the beauty of chocolate and ginger together last year with these Chocolate Chip Ginger Cookies, but this recipe for Soft Ginger Cookies with Nutella Buttercream takes it all a step further. Anyway, if you’re still looking for other cookie recipes for Christmas, and you’re a fan of ginger things, check out my family’s all-time favorite Cracked Top Ginger Cookies. So soft and chewy, and with crispy edges! 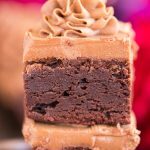 If you’re looking for other Nutella things, try these Pumpkin Cupcakes with Nutella Buttercream, Nutella Brownies with Nutella Buttercream, or this Double Layer No Bake Nutella Pumpkin Cheesecake! Soft, melt-in-your-mouth molasses ginger cookies filled with fluffy, rich Nutella buttercream frosting! 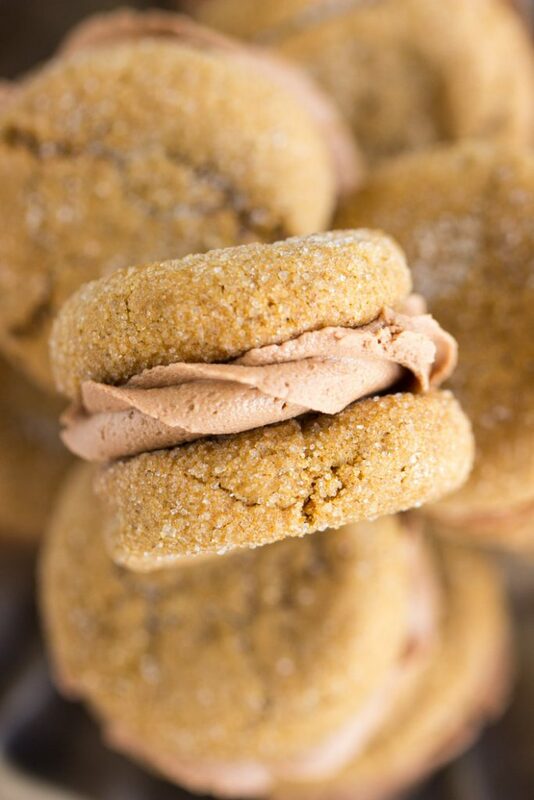 You'll love the combo of ginger and spice with cocoa and hazelnut in these Soft Ginger Cookies with Nutella Buttercream! An unconventional collection of flavors, but they come together so deliciously! Chill dough for at least one hour, or ideally, overnight. Dough *must* be chilled. Bake at 350 degrees for 9-11 minutes, or until the edges are golden, and the centers are just appearing set. They'll continue to cook on the baking sheets while cooling. Spread or pipe frosting between two cookies to form cookie sandwiches! Oh! These cookies look so, so yummy! THANK YOU!! 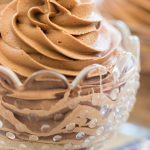 The buttercream is incredible!! Hope you had wonderful holidays, and happy New Year! !